In previous articles we covered GDPR in Sitecore in general and how to deal with it in Sitecore 9 Forms and WFFM Module. This time we’ll take a look at possible GDPR issues you may find in your implementation of EXM module in Sitecore 8.2. This data is typically taken from list created in List Manager application. 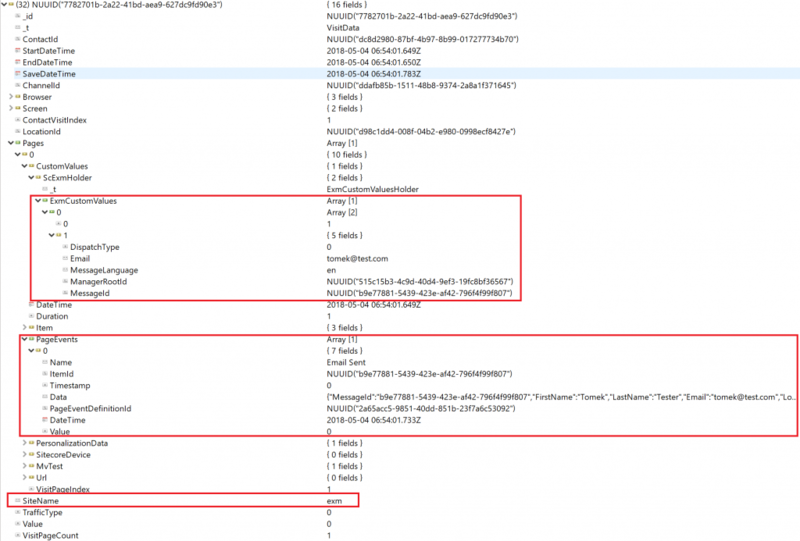 More precisely it’s loaded from sitecore_analytics_index (check previous post for dealing with personal data in List Manager). 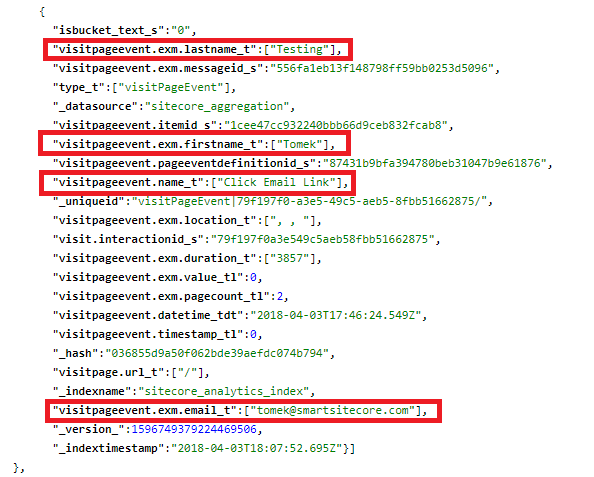 Data for the opening links from emails and for the other EXM related events is stored in Interactions collection in Analytics database (under Pages.PageEvents node). Mind that some events may contain additional personal data in the “Data” element. Basically you can use all I described in previous article about GDPR in Sitecore for implementing user rights (right to be forgotten, data portability) and restricting access to EXM back-office. When the user subscribes to mailing list, this relationship is stored in Analytics database in Contacts collection, under Tags.Entities.ContactLists node, so remember to handle this data properly when you want to remove or export it for the user. When removing entries from Analytics database in MongoDB and analytics index you can use custom code I described in previous post. 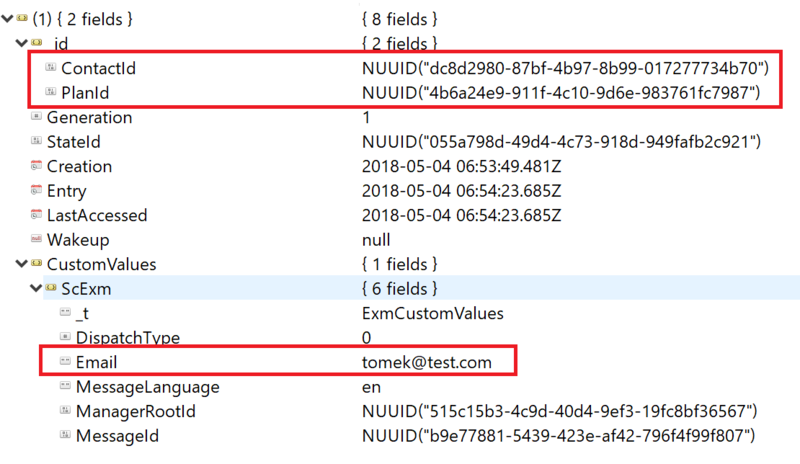 There is one issue which you need to solve: when removing data from database you can use ContactId Guid to identify interactions for given user and then remove EXM related events, containing personal data (you will find list of them in sitecore content tree under /sitecore/system/Settings/Analytics/Page Events/EXM). But to remove those events from sitecore_analytics_index you need to use Sitecore.ContentSearch API to search and remove documents. It’s because they are not connected directly with Contact entity, but with Interactions (via InterationId), so first you need to find all the interactions and then remove EXM events for them. After you anonymize contacts you should unsubscribe them from mailing list (you do it, by removing Tags.Entities.ContactLists node in MongoDb and related documents from sitecore_analytics_index), also you can update recipients count in the list items, to keep your data consistent. 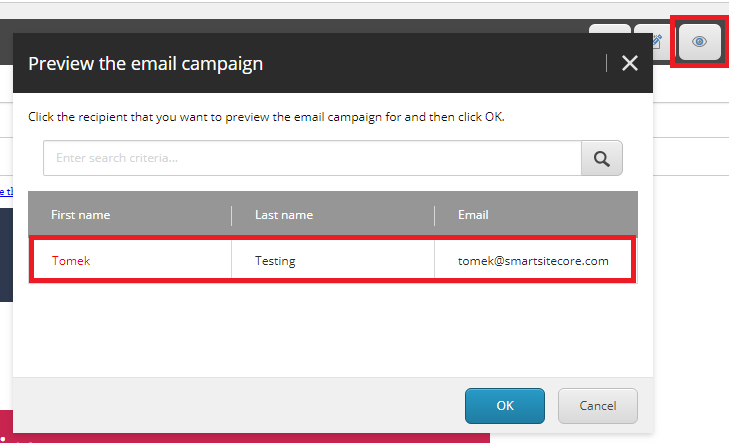 You can do it by using ListManager<TContactList, TContactData> class.